Folly Beach is located eleven miles south of downtown Charleston. It is referred to as “The Edge of America”. This beachfront town is the best of both worlds — lively resort activity meshed with quiet oceanside living. Local community and commercial tourism positively collide. Mass visitor attraction is balanced by eclectic, personalized appeal. This destination offers a variety of accommodations and vacation rentals, including Tides Folly Beach, the only full-service hotel in the Charleston area. Want a secluded, tropical experience? Reserve one of the private, island-theme villas offered by the Water’s Edge Inn. When the usually calm waters are stirred into huge breaking barrels, Folly Beach becomes one of the best surf spots along the eastern coast. The Northside Pier is an exceptionally renowned location. Check it out in the winter months when the break tends to be the strongest. The variety of fishing opportunity here will satisfy any angler’s needs! Surf fishing, river fishing, pier fishing, deep sea fishing — Folly Beach has it all. A number of charters include the popular Sea Breeze and Tide Down. The variety of excursions accommodate guests of any skill level. The public sands of Folly Beach County Park are equipped with areas of shelters, tables, and grills. Oceanside picnicking is highly encouraged and one of the most popular things to do on the island. Bring food and your family and enjoy an unforgettable meal against the scenic backdrop of this coastal masterpiece. When you’re tired of picnicking, head over to the Folly Beach Crab Shack. Indoor and outdoor seating options, live music, the best Raw Bar around, and huge seafood portions make for ideal beach dining. 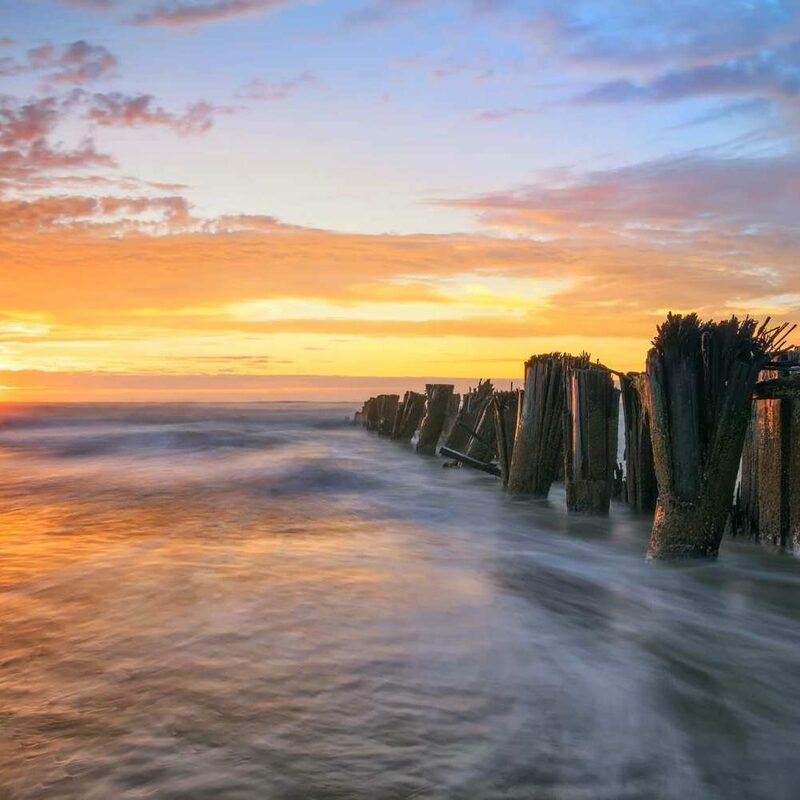 A visit to Folly Beach is truly the experience of a lifetime. For sun, surf, adventure, and relaxation in a complete package, there is no where better along the East coast.